Choosing the best dry dog food can be hard. 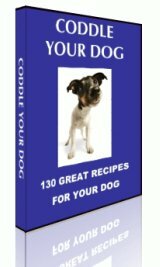 But while there are many different types of dog food out there, there are some brands that many consider to be the best dry dog food that you can buy for your pet. These brands do not include a high amount of grains and they do not include animal-by product such as feet and heads, which are hard for your pet to digest. These brands maintain a quality standard that is recognized by many animal experts. So, if you are concerned about your pet's health, try one of these brands the next time you fill your dog's bowl. One of the most recommended brands is Orijen. This brand of dog food may be expensive, ranging around $35 dollars per bag, however the quality it provides is unsurpassed. They use only high-quality ingredients and it is full of the protein that your dog needs to remain healthy. This food cannot be found at many supermarkets and many think that it is far too expensive. However, if you have the money to spend on making sure your pet eats healthy, try out this brand. Another brand of the best dry dog food comes from Solid Gold. This company is one of the oldest dog food companies in America and they provide a product that is full of the nutritional goodness that your pets need. Solid Gold does not use low-quality ingredients and it does not include some 'controversial' additives in it's formula. This is a brand that many people agree is some of the best dry dog food that you can buy for your pet. Solid Gold strives to make sure that your pet is receiving the nutrition it needs. While Solid Gold may cost around $30 dollars a bag, the money is well worth it. Another brand that you should look out for is Innova EVO. This brand is hailed by pet owners and experts as some of the best dry dog food out there. This brand does not include grains, which is prevalent in many brands on the market. Their products also contain a high meat content, which provides your dog with the protein it needs to remain strong. This brand is highly recommended by dog owners and experts alike. A bag of Innova EVO costs around $25 dollars per bag, which makes it one of the cheaper brands in high quality dog food. Puppies-2-Dogs For new dog owners, or simply if your planning on getting your first puppy or dog. Do you have what it takes to become a responsible dog owner? You will need a few things, but, here are two important things that you must have.